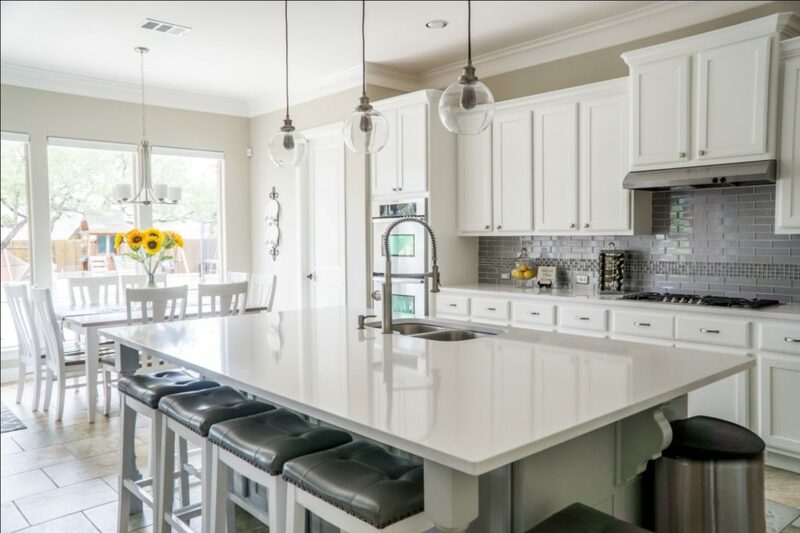 5 Essential Do's and Don'ts of Staging a Home | Reynolds Realty Gulf Coast, Inc. If you’re about to put your house on the market, chances are you want to sell it as fast as possible and at the best price too. The best way to do that is through smart staging. On average, a staged home sells for 17% more than a non-staged home and 87% faster according to Betsy Wilbur, professional home-stager. It may seem daunting to stage your home, especially if you’re doing it without professional help. But that’s nothing to worry about! We’ve simplified the process with 5 essential do’s and don’ts to follow for foolproof home staging. Your primary goal with staging your home is to help potential buyers envision the space as their own. This can be difficult if your home is cluttered with personal items. Put away your souvenirs and colorful throw pillows, and opt for a cleaner, neutral décor. Not only will this make your home look roomier, it will let buyers imagine themselves in it. Before you put your house up for sale, step back and consider how you can rearrange your current décor to highlight your home’s best qualities. Pull back your curtains to let some natural light in, remove unnecessary furniture to emphasize the size of the room, and open up your closets to show storage options. These steps will ensure buyers can immediately pick out and remember the benefits of the space. Just because you’re staging your home, it doesn’t mean you need to go and stage every corner to perfection. Statistics from the National Association of Realtors show that the dining room, master bedroom, and kitchen are ranked as the most important rooms by buyers. These are closely followed by the front porch and the kitchen. Don’t waste time and energy staging every nook and cranny of your house. It will be much more effective to focus on certain aspects and perfect their appearance. The outside of your house is just as, if not more, important than the inside. Make sure your grass is neat and trimmed, and your porch lights illuminate the area for anyone who may visit at night. If it’s possible, make the space more inviting by adding tasteful plants or even furniture. Making a favorable first impression on the buyers is key to capturing their interest. No matter how much effort you put into décor, if your home is dirty, chances are it’s not going to appeal to buyers. Don’t overlook the importance of washing the sheets or lighting a scented candle. The cleaner your house looks and smells, the more maintained it will look without the need for expensive renovations. Staging your home can be a simple process if you know where to start. Follow the steps above for a seamless house staging that not only increases its appeal but also adds value to your property. Ready to sell? We’d love to help. Get a free home valuation from us.